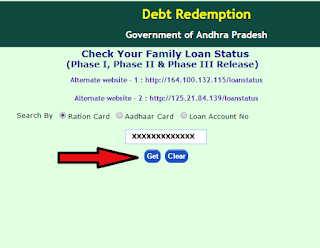 Good News for Andhra Pradesh Peoples, especially AP farmers ,Andhra Pradesh State Government has Released Runa mafi List 3rd phase on 5th Aug 2015, Now Crop loan and Gold Loan 3rd Phase Status available online, Andhra Pradesh People (loan Waivers) Check Their Crop Loan and Gold Loan Status through apcbsportal.ap.gov.in/loanstatus/ , Previous Released 1st Phase Runa mafi list and 2nd Phase Runa mafi list, Now this time Runa Mafi list 3rd phase available online.The beneficiaries of the Crop loan ,Gold Loan check their loan status 1st phase, 2nd phase, 3rd phase list online. Andhra Pradesh government has finally announced third Phase of loan waivers list. Minister for Agriculture Prathipati Pulla Rao said Rs.900 crore would soon be credited to the accounts of beneficiaries under the third phase of loan waiver as assured by the Andhra Pradesh State government. 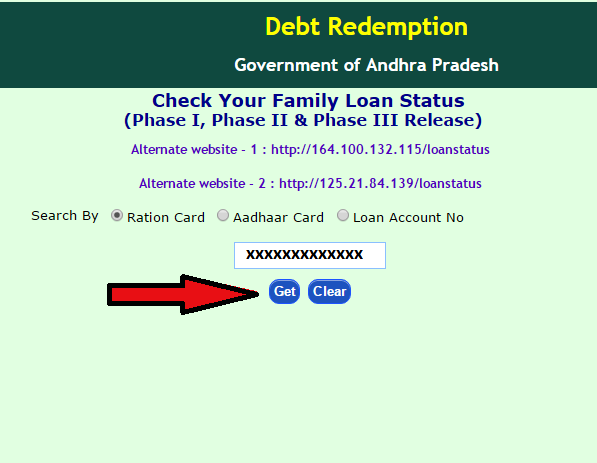 AP govt released a list of selected and rejected loan waiver on crop and gold loan with 1st,2nd and 3rd list, The beneficiaries of the crop and gold loan debt redemption scheme could obtain online the details of their loan status logging in to http://apcbsportal.ap.gov.in/loanstatus get the loan status details by furnishing information like Aadhar card, Ration card and Loan Number. How to Check Status of AP Runa Mafi 1st,2nd and 3rd list online ? 3. Now Enter Your Selected Identification Number in The mentioned box. 4. Click on "Get" option. 5. Finally you'll get Loan Waiver Scheme Details online. If any quires Contact AP Loan Waiver Number 18001032066. Sir, Our gold Loan was waived and get 1st instalment last year. But now in 2nd instalment my aadhar number is not in the list. I don't know how to know the last year list. Our gold Loan was waived off and we got the 1st installment last year. But for 2nd installment, I am not seeing my Aadhar Number. When I try to view details in below links using my Aadhar, it says 'Record Not available in Agriculture Loans'. Can you please help?